How do you change the default apps for various tasks on android? unless you know where to look for, changing the default apps for various tasks is not an easy thing. 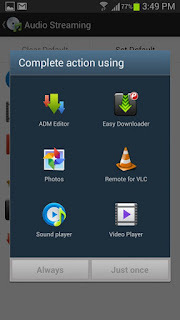 By default if you need to change the default apps for a specific android task, you will have to open the application manager within your android phone’s settings and then select the app which is set as a default. Then you will need to clear the app’s defaults and the next time you perform the specific task, you would be prompted to select from various apps to set as a default for the task. For an average android user, this is not an easy task. For those who are looking for an easier way for changing and settings default apps for various android tasks, you will need to make use of an free app such as Default App Manager. 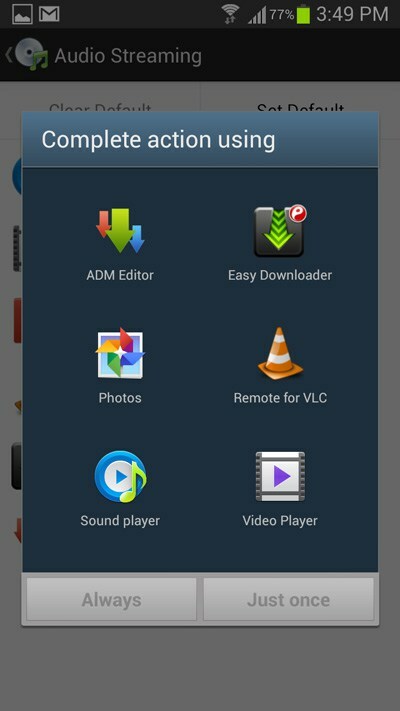 Default App Manager, as the name suggests is an free android app which will enable you to set the default apps for various android tasks from the app itself. 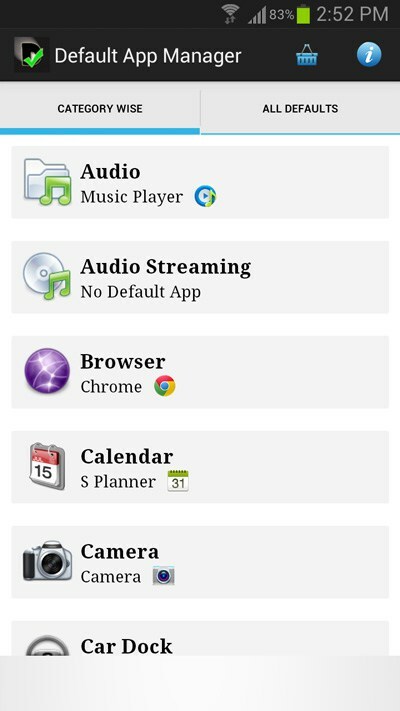 Additionally the app will even allow to to select default apps for opening various file types too. 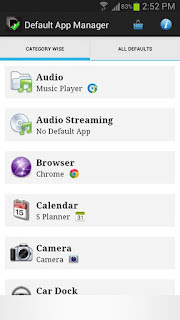 With Default App Manager installed on your phone, you will no longer have to go through the hassles of remembering the default apps set for various tasks on your android phone. Whenever you need to change the default apps for any specific android task, simply open the app and tap on any of the tasks listed. You will then be prompted with a list of apps that can be used to perform the task. Select any of the apps and it will be set as the default app for performing that task. Follow the instructions below If you need to set or change the default app for any specific android task. 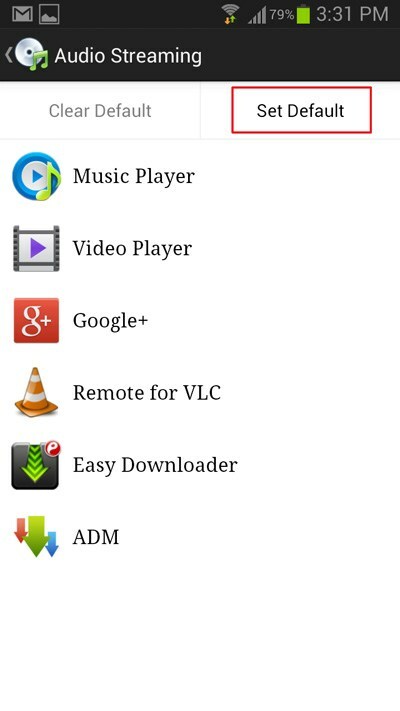 Step 1: Install Default App Manager on your Android phone from the link provided at the bottom of this article. Once the app is installed, open it. 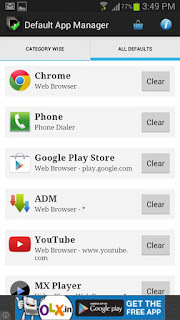 Step 2: Tap on any of the android tasks listed in the app and you will be able to see a list of apps. Step 3: Tap on “ Set Default “ and android will prompt you to select a default app for that task. That’s it, you’ve successfully changed the default app for an android task. Similarly, you can follow the instructions once again and select another android task to set or change the default app for it. In case you need to clear the default app for any android task, tap on the All Defaults tab and again tap on the Clear button besides any of the listed apps.